http://www.gallerynucleus.com create relationships and obtain interesting products. The purpose of our conception is to support and promote upcoming artists to have an obvious dedication and quality to their craft. Through our gallery space, retail space, and products, we act as a platform to help people to excel in their goals as an artist and expose them to the general public and art collectors alike. Nucleus carries a variety of art books, zines, underground comics, collectables, and a healthy selection of artist designed products. 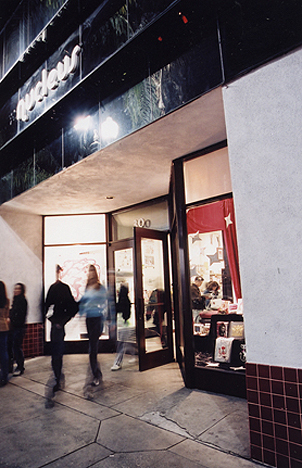 Located in Alhambra California, we cater to a much wider and general demographic of people, thus not limiting ourselves to just collectors or art districts but truly appealing to the general public.Come visit the store in person, or click here to purchase products through the Nucleus online store.